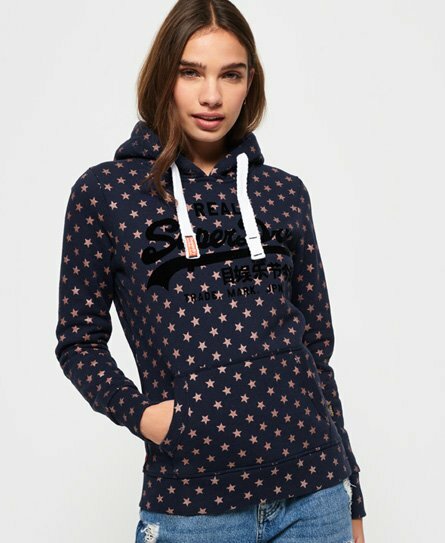 Superdry women’s Vintage Logo star all over print hoodie. Add to your hoodie collection this season with this overhead hoodie, featuring a drawcord adjustable hood, a large front pouch pocket and a textured Superdry logo graphic on the chest. Finished with a Superdry logo tab in the side seam, this hoodie will look great styled with boyfriend jeans and trainers.